Across the wide spectrum of children’s fairy tales, darkness lurks underneath the stories of magic and fancy; sinister themes and vile acts lurk beneath all the whimsy and imagination. 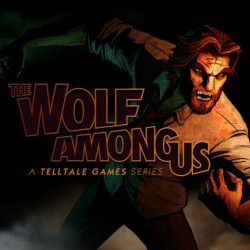 With adapting Bill Willingham’s long-running comic series, Fables, into a brand new episodic adventure, Telltale Games both polishes their craft of stringing a compelling narrative while taking their visual aethestics to intoxicating heights in The Wolf Among Us. 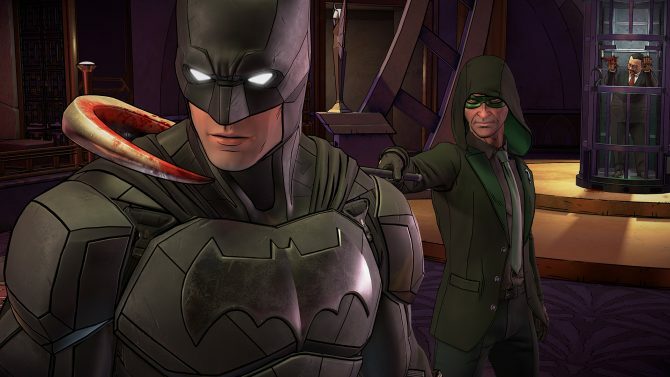 By exploring the unexpected and unadulterated themes of classic fairy tales in a hard-boiled detective style, Telltale’s latest series continues its fine tradition of episodic gaming and introduces a series worth retelling through The Wolf Among Us. 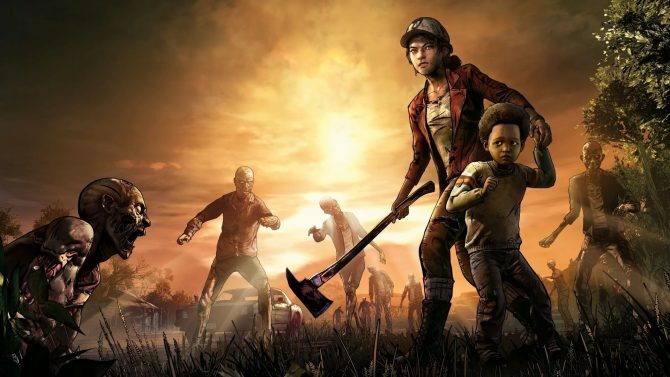 After Telltale’s runaway success with their critically-lauded adaptation of The Walking Dead, taking on another comic series in an episodic format might at first seem a bit redundant. While The Wolf Among Us surely plays exactly like its zombie predecessor, Telltale’s latest is by no means a complete retread with its striking visuals, (at times) even more dark and mature themes, and slick style that make it familiar, but completely in a world all its own. It may be familiar to fans of The Walking Dead, but even just in its first episode alone, The Wolf Among Us already establishes itself as a confident and engaging narrative that is well suited to Telltale’s polished episodic format. As a prequel to Bill Willingham’s Fables comic series, The Wolf Among Us provides one of the most far-fetched but utterly cool concepts around for a game (or comic): what if the denizens of classic fairy tales, from Snow White to Little Red Riding Hood and The Three Little Pigs, were banished from their respective worlds and thrust into the gallows and dank depths of New York City? As Episode 1 (titled, “Faith”) takes us into the alleys and corners of the fables’ new home called Fabletown, where the lost and exiled fables must hide themselves from being caught in sight of regular human-folk (called “mundies”), players assume the role of Bigby Wolf as the town’s sheriff and enact law and order in the (relatively) lawless fable world. 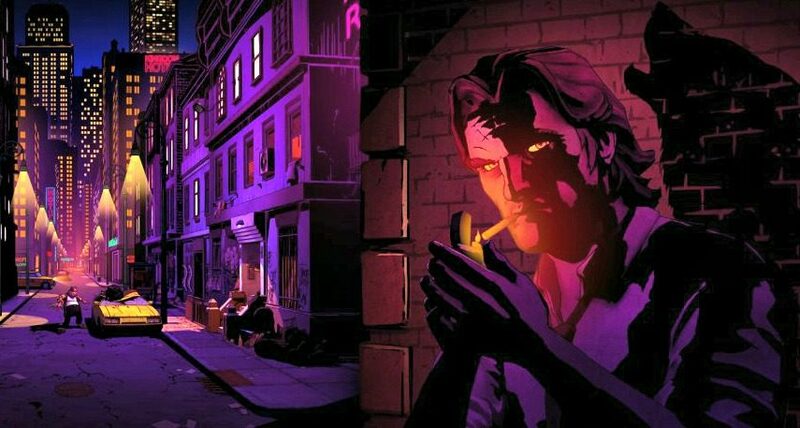 What follows in Episode 1 (and over the course of the entire season) is a crime-riddled fairy tale world infused with the cool styling of a noir film: The Wolf Among Us comes alive with purely graphic novel-inspired visuals and a moody, synth-fueled (but utterly cool) soundtrack. 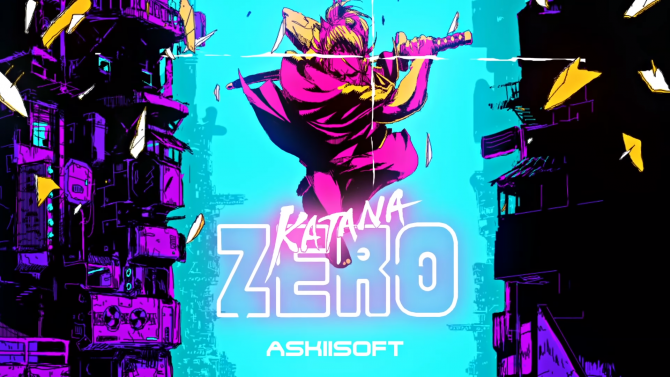 Even though the incredibly bizarre premise sounds like it shouldn’t work, it completely comes together in an odd and engaging way. 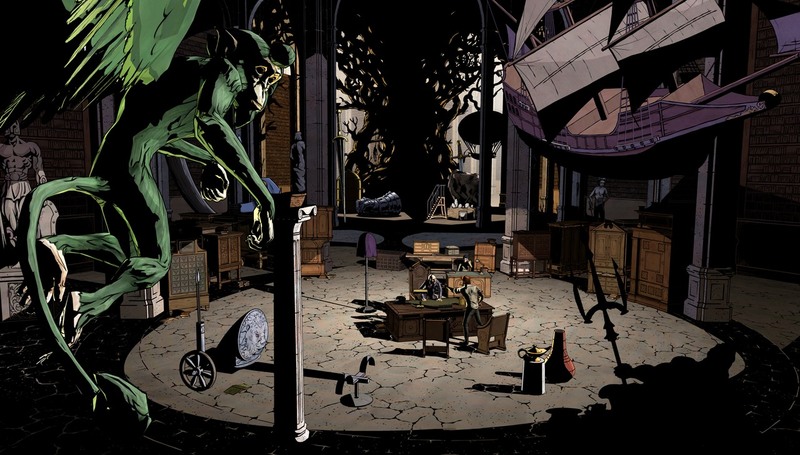 Seeing how the classic fables have become varying recluses in the world of Fabletown – the Woodsman as an aggressive drunk, Ichabod Crane as a despicable mayor – is both hilarious and intriguing, especially to see just who, and where, The Wolf Among Us will take us to. 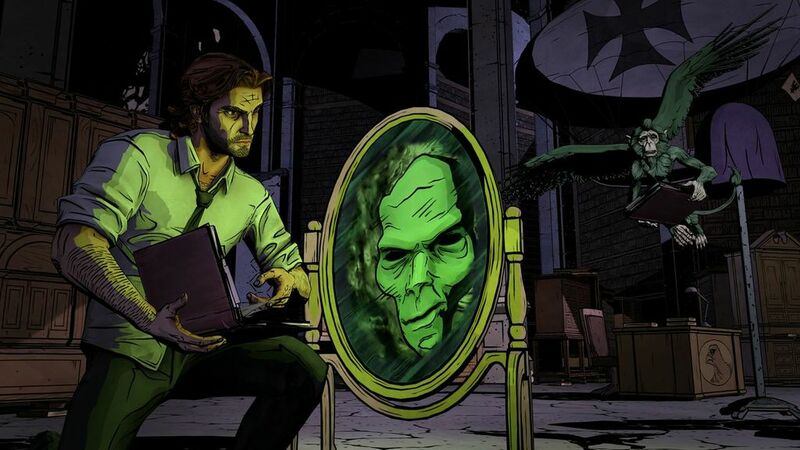 Although I’ve never read any of the Fables comics series prior to playing Episode 1 of The Wolf Among Us, the game’s eclectic mixture of classic detective-fiction melded with bits of dark humor and even darker violence and themes, creates a unique experience that serves the episodic format well. From discovering the “Big Bad Wolf” within Bigby Wolf, to meeting his beautiful femme fatale Snow White, to other oddball cases like Bigby’s lazy neighbor Colin (of The Three Little Pigs) or the perpetual liar, Mr. Toad, The Wolf Among Us is brimming with engaging characters of all varieties, both out for good and out for their own devices. The classic case of the “whodunit?” in Episode 1 drives the experience easily through its short duration (the episode only stands at about 2-3 hours to completion), but most of all just leaves you wanting more to find in Bigby’s search through Fabletown. 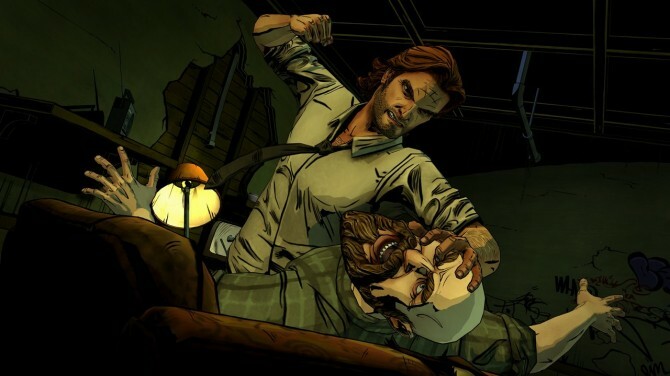 The Wolf Among Us easily, and inevitably, draws comparisons with Telltale’s The Walking Dead gameplay-wise; the two are nearly identical in their evolution on the classic point-and-click adventure formula, as well as both of their inspirations being taken from long-running comics series. While the comparison is definitely applicable, The Wolf Among Us also takes many steps in its story-telling and gameplay variations that totally make it stand apart from Telltale’s previous zombie-apocalypse opus – neon-infused visuals and dark noir tone aside. 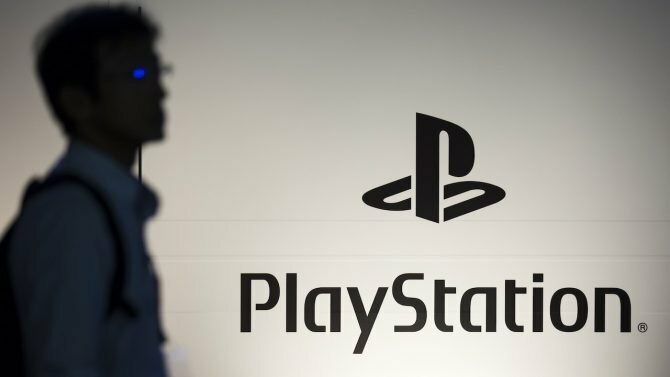 While The Wolf Among Us takes most of its gameplay devices (and as a result, some of its few weaknesses) from The Walking Dead, Telltale’s latest shows that the company has definitely learned a few lessons in taking on the tales of fables after its foray into zombie-killing. Most notably, The Wolf Among Us doesn’t quite involve as many puzzles as its predecessor, instead opting for a brisker pace with several combat sections or brief moments of clue-gathering and detective work. 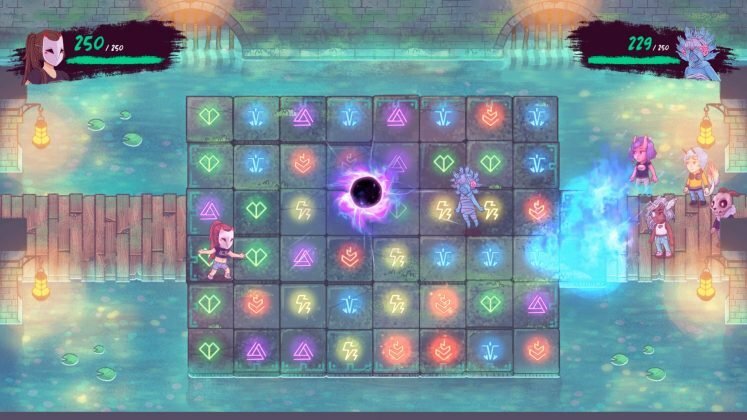 As The Walking Dead’s puzzle segments were sometimes the weak points of the series with their vague hints of progress (or “battery-flipping” puzzles!) 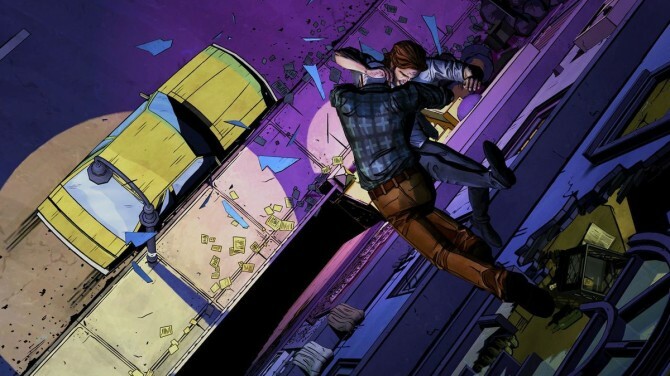 and slowed down the pace, Episode 1 of The Wolf Among Us instead opts for a more visceral combat-driven experience that improves on the sometimes unclear combat sections of The Walking Dead that led to many cheap deaths or failures. 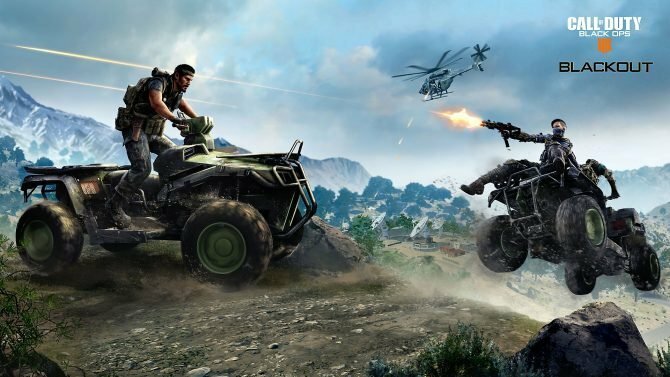 The former provides some crazy fight scenes and chase-downs that are both fun and relatively easy to navigate through, and always keep the game going – often, violently so. With its branching paths and big range of options for decisions that influence the story, The Wolf Among Us: Episode 1 bursts onto the scene with energy, wit, and plenty of cool style and an intriguing concept. 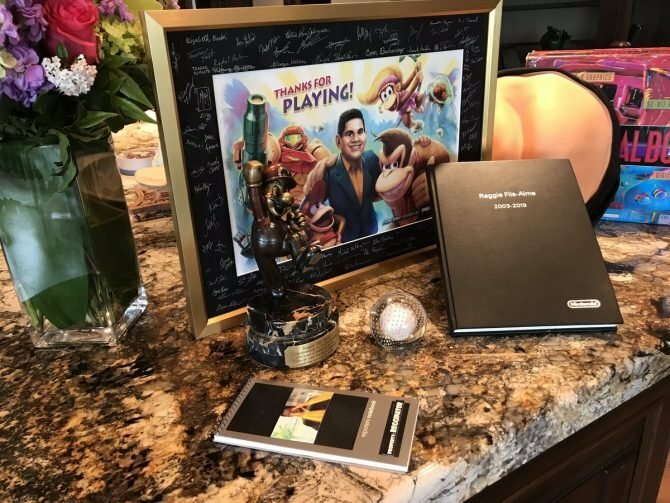 While all may not be entirely well in the game with some technical hiccups and other small plagues (mostly long-loading times and stutters as the game loads in the middle of fights or scenes to account for player decisions), overall the debut of Telltale’s latest is a crackling blast. 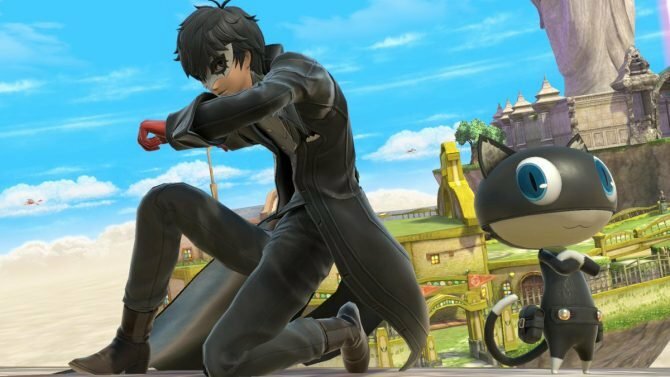 Like any beginning of a story or a fable, Episode 1 has a lot to set up – it has to establish its unconventional concept, its wide cast of fables and characters, and setup series-long story arcs all within the duration of just a few short hours. 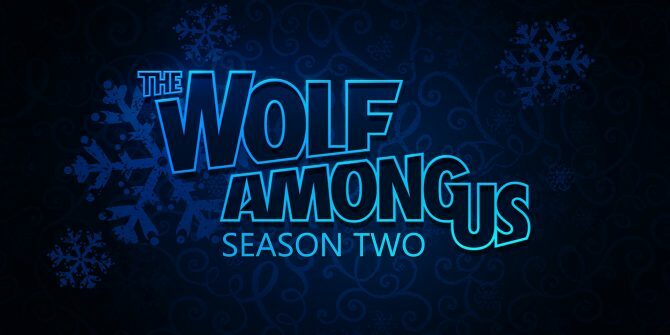 While it may not be perfect and has a lot of ground to cover, the hard-boiled crime and magical energy of The Wolf Among Us: Episode 1 totally had me gripped, and shows a series filled to the brim with dark comedy and even more grim undertones. Bigby’s story may just be beginning in The Wolf Among Us: Episode 1, but I know that I’m totally ready to go back for another trip down Fabletown’s shady alleys and see what else is waiting.